The first step to your dream kitchen is to measure your kitchen space. You can download our measurement guide for help, watch this video for instructions, and don’t forget to include all the details important for the installation of new cabinets. We also provide in-house measurement & collect all details about your project. If you need further help, please call us at 973-302-2075. Schedule an appointment with one of our designers by filling out our contact form or by calling us at 973-302-2075. We provide personalized designer services. 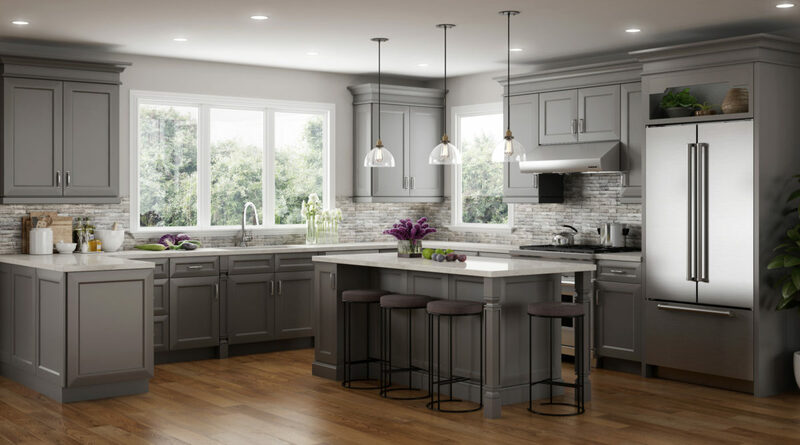 Our expert designer will provide you with a 3D design of your new kitchen, customize it with you, and stay with you until the end of your project — until you’re 100% satisfied. We don’t stop until we give you exactly what you need. 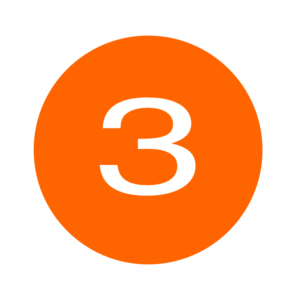 If you are not already working with a contractor, we can recommend one of the best local contractors from the NJ area for you. 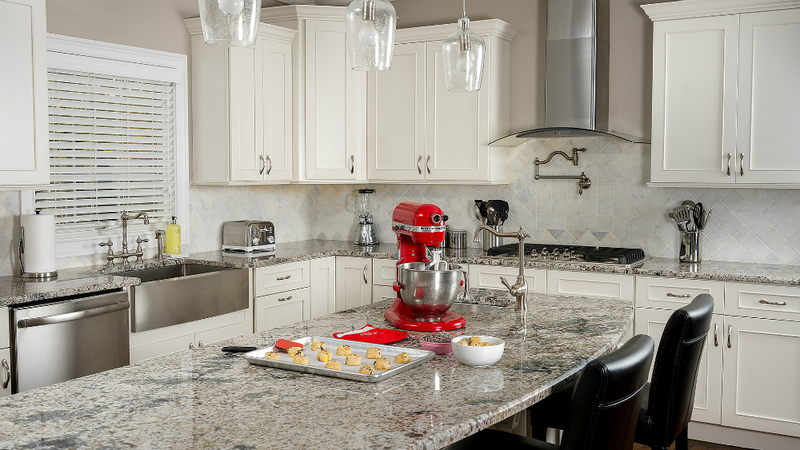 Combine your stock kitchen cabinets with quartz countertops or granite countertops, and create a cozy, stylish, functional cooking space you need. Once the kitchen from your dreams is installed, it is time to enjoy it with your family for years to come. You pay wholesale prices because we cut out the middleman markup. We guarantee the lowest price of stock cabinets because we will beat our competitors’ price by 10% if you bring us a written estimate. Our free expert design service delivers a kitchen that is customized just for you. Aqua Kitchen and Bath Design Center offers free 3D design of your new kitchen so you don’t have to imagine, but actually see how your new kitchen will look like. You will work with our professional designers to model your dream kitchen. 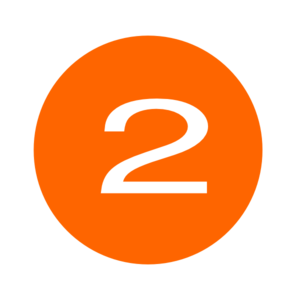 If you live in Wayne NJ, Lincoln Park NJ, Totowa NJ, West Paterson NJ, Little Falls NJ, Paterson NJ, or anywhere else in the state of New Jersey or the neighboring states and looking where to buy stock kitchen cabinets — you’re at the right place! Buy stock cabinets from professionals who will make your kitchen remodel project, regardless of its size, a priority. We know how important your project is as well as we are aware of the fact that the kitchen is the most important room in any home. 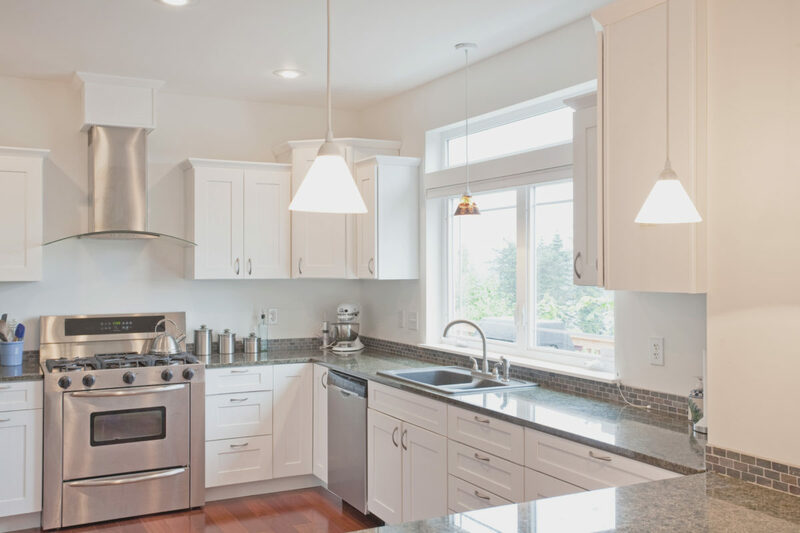 Our stock economical kitchen cabinets for sale in Wayne NJ give you an opportunity to upgrade or remodel your kitchen at affordable prices that won’t break the bank. At the same time, you won’t have to compromise on appearance and quality of the cabinets. 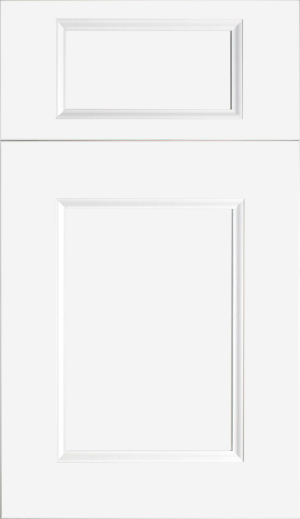 Our stock kitchen cabinets come in various colors, styles, and finishes. White stock cabinets, wood stained stock cabinets, and stock cabinets in other various stains and paints are available in NJ. Take a look at our kitchen cabinets NJ. We are 100% sure that you will find a model that looks like it was made just for you. Fabuwood is one of the most trusted brands and manufacturers of stock kitchen cabinets. Designed for enhanced living and life’s finer moments, these kitchens provide an exquisite look and performance. Fabuwood brings 6 lines of kitchen cabinetry: Allure, Classic, Value, Value Premium, Quest, and Prima. They feature various colors, materials, and finishes, as well as different pricing. If you need a kitchen upgrade but your budget is an issue, stock kitchen cabinets from Fabuwood’s Value series or Value Premium can be just what you need. Landmark and Hallmark kitchen cabinets from these cabinetry lines will provide you with high functionality and great looks at a reasonable price. If you want a high-end version of stock cabinetry, Allure series of stock cabinets by Fabuwood will bring you polished look with a modern flair, along with superior durability and functionality. 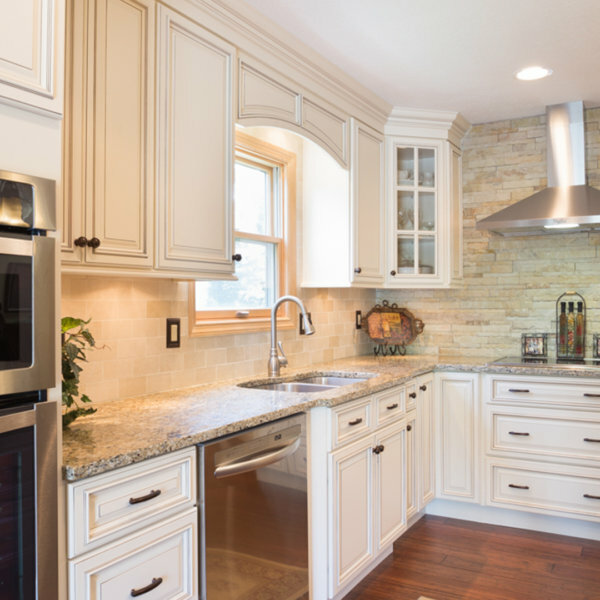 Take a look at some of our favorite Fabuwood economical kitchen cabinets. 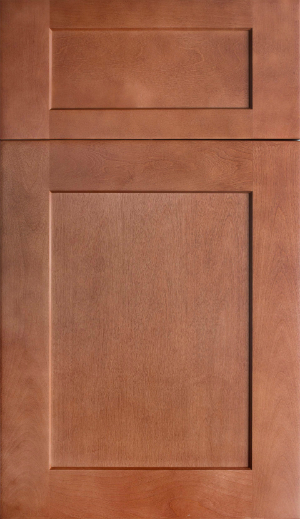 Stock kitchen cabinets in pecan color from Fabuwood’s Galaxy Series will warm up your kitchen. Classic lines and smooth finish offer minimalist appearance in combination with the warm look and feel of real wood. 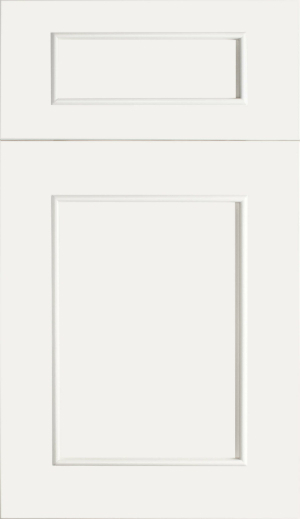 If you love the transitional look and prefer open, bright spaces, go for crisp white stock cabinets Nexus Frost by Fabuwood. Bring sophisticated depth to your aesthetics. A graceful wide frame gives traditional warmth while recessed paneling and crisp, clean lines introduce a contemporary appeal. 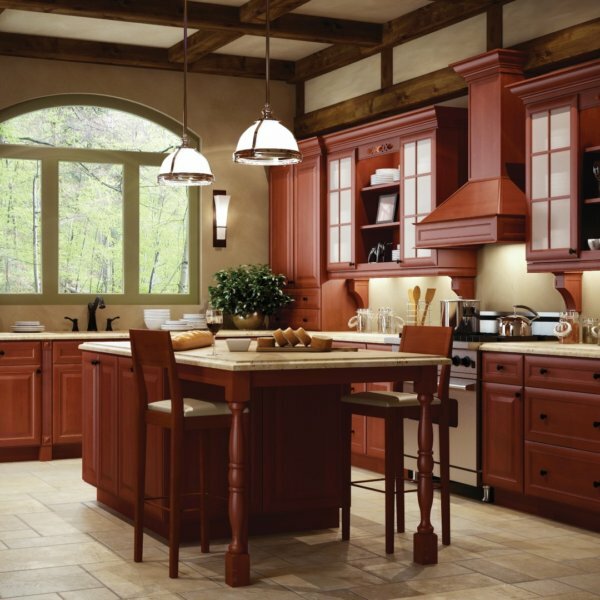 Deep chestnut color of these stock kitchen cabinets will awaken a luxury feel in anyone who enters your kitchen. Refined style, subtle traditional allure, along with powerful color, create a strong focal point that you will love and appreciate in your cooking space. Strong character and exquisite beauty come at an affordable price. White is never boring because there are different kinds of white. Vista Blanc white stock cabinets from Fabuwood Allure Series bring a special kind of white tone that will brighten your kitchen space in a unique way. Transitional versatile style with applied moldings and intricate detailing add special warmth not only to the kitchen but to the whole home. CNC Cabinets have their own exclusive line of high-quality cabinetry at affordable pricing. Classic Series, Concord Series, and Country Series of stock kitchen cabinets by CNC feature particular modern styles, quality materials, and refined finishes. Classic Series brings Oxford, Milano High Gloss, Matrix, Sidney, and Cascade styles. Concord Series offers various styles expressed in Park Ave, Victoria, Bristol, Elegant, Alexandria, Fashion, and Harmony look. Country Series brings us 3 evergreen styles: Luxor, Sierra, and Country Oak. 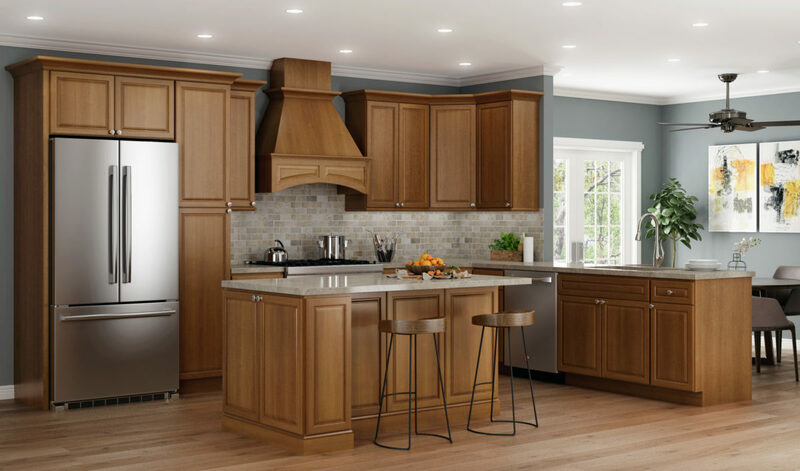 Whether you like modern, minimalist, polished look or traditional lines that radiates warmth and coziness, CNC stock kitchen cabinets can provide that look at affordable prices. Take a look at some of the styles and contact us today to find your favorite CNC kitchen in New Jersey. If you crave modern kitchen cabinets with sleek, clean look and subtle, fresh white satin color, take a look at Sidney cabinet style by CNC. A square, flat panel cabinet doors without the interruption of frames, with plywood sides and dovetailed soft close drawers, will give any kitchen space a twenty-first-century look. A smart and spacious effect for everyone who love their cooking space. 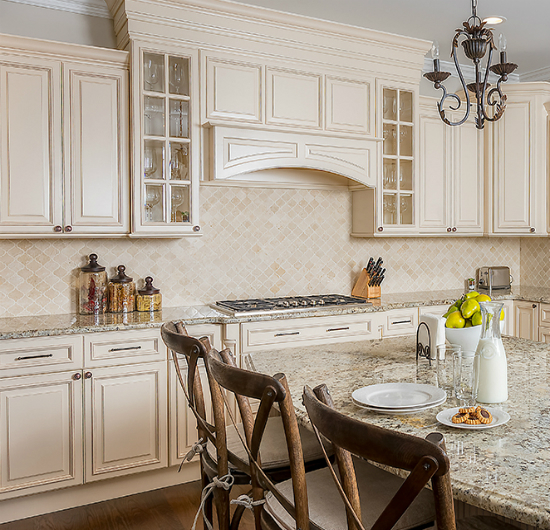 Distinctive and graceful, Bristol stock kitchen cabinets feature American classic design. Fusing timeless kitchen cabinet design with fine wood quality, Bristol kitchen cabinets by CNC feature comforting and cozy feel thanks to toffee glaze finish. A raised center panel on the doors and the drawers enhance the traditional look and create a casual American feel. Nothing symbolizes elegance and sophistication like Park Avenue. 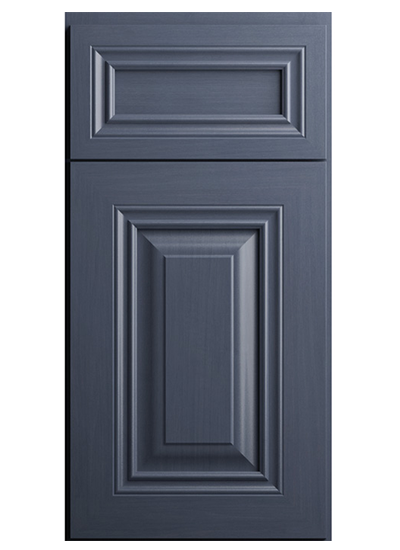 This was the right name for gorgeous blue and white cabinet door style that promotes refinement and intricacy. Cabinet doors and drawers fronts are 5-piece miter constructed and come with a full overlay. 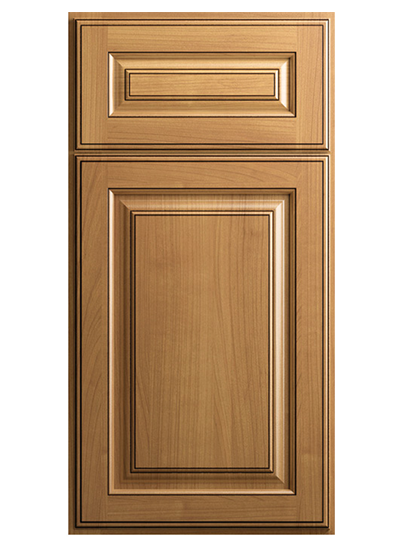 With the interior moldings appearance, Park Avenue stock kitchen cabinets will provide a stylish look at affordable price. Victoria kitchen cabinet style by CNC brings a winning combination of classic style with a contemporary, polished look. The cabinet doors feature miter door frame with a semi-pillow effect. A reversed raised panel gives these cabinets the strength and durability to endure even the maximum of activity in the kitchen. These cabinets made of birch will fit the style and decor of your home providing you with the look you always wanted for your cooking space. 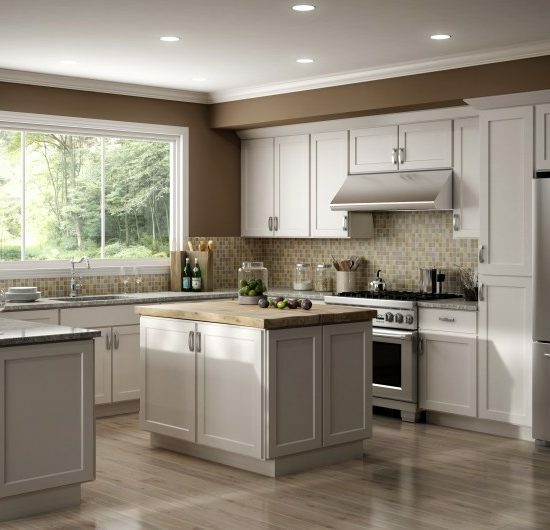 Forevermark stock kitchen cabinets provide great material, quality finishes, and attractive styles at an affordable price. 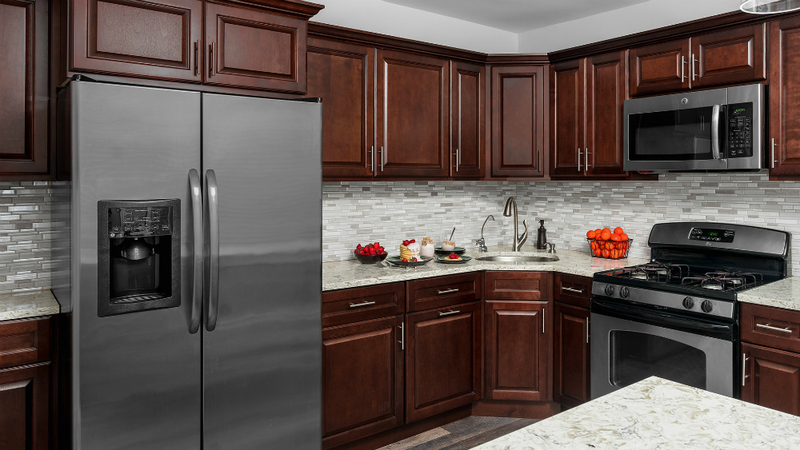 Reliable and durable, these cabinets feature functional design and quality construction that will serve you and your family many years to come. 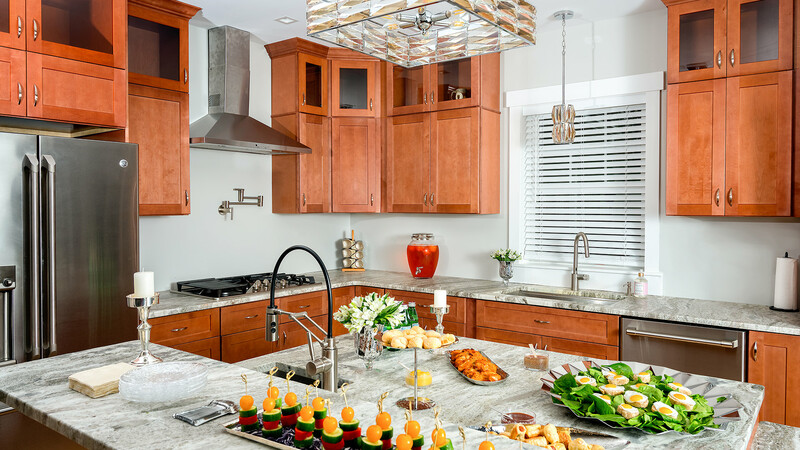 Lasting, eco-friendly, fashionable paints and finishes, sturdy wood construction, and superior hardware will make any day in your new kitchen a memorable event. Convenient and practical for big and small families, as well as for those who live alone, Forevermark stock kitchen cabinets present a budget-friendly option to get a kitchen from your dreams. This combination of traditional style and modern luxury radiates sophisticated refinement along with classic comfort and warm coziness. 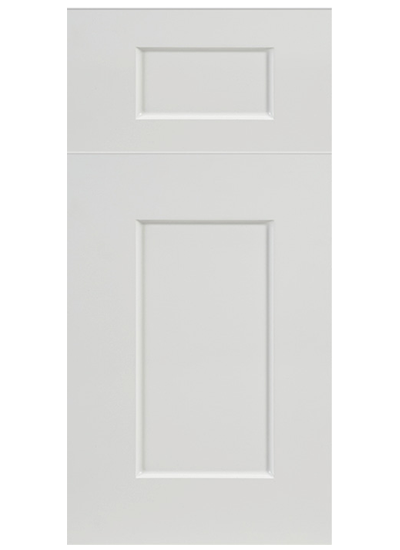 Antique white color and raised panel design create an everlasting style suitable for any home that appreciates classic beauty. 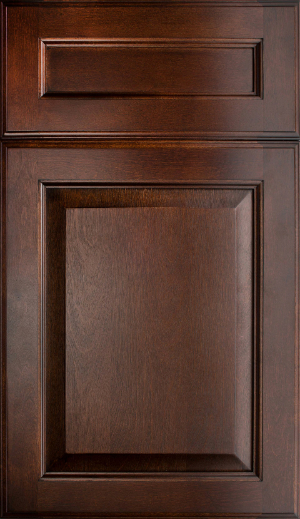 This beautiful door style features a traditional door profile and warm cinnamon color that will cozy up any home. 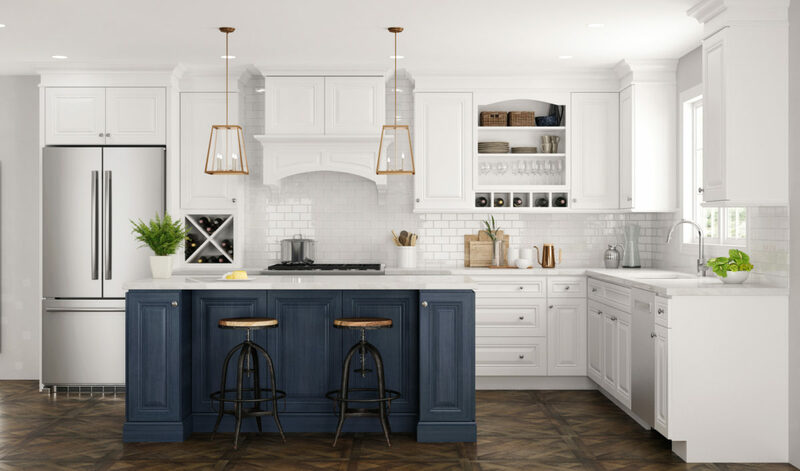 If you love classic cabinetry lines and need more storage space at a budget-price, consider Cinnamon Glaze stock kitchen cabinets from Forevermark K-Series. 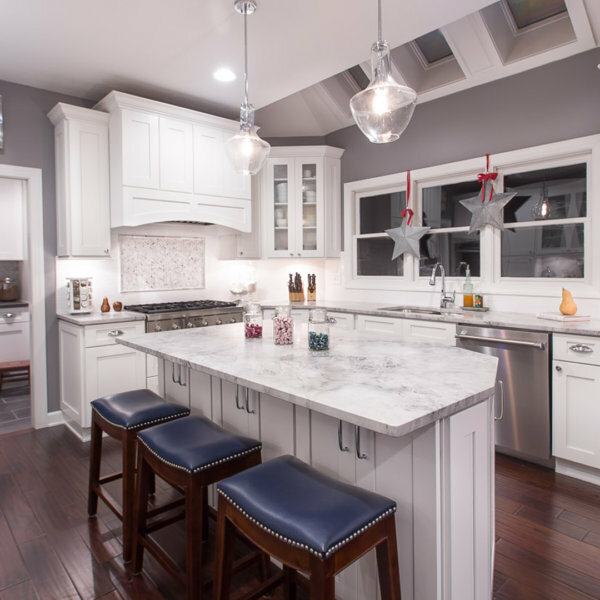 Ice White Shaker cabinets bring a feeling of spaciousness and brightness, along with high-quality design. Convenient and practical both for traditional and contemporary homes, these transitional stock kitchen cabinets create the perfect backdrop for any decor details you would like to add to your kitchen space. 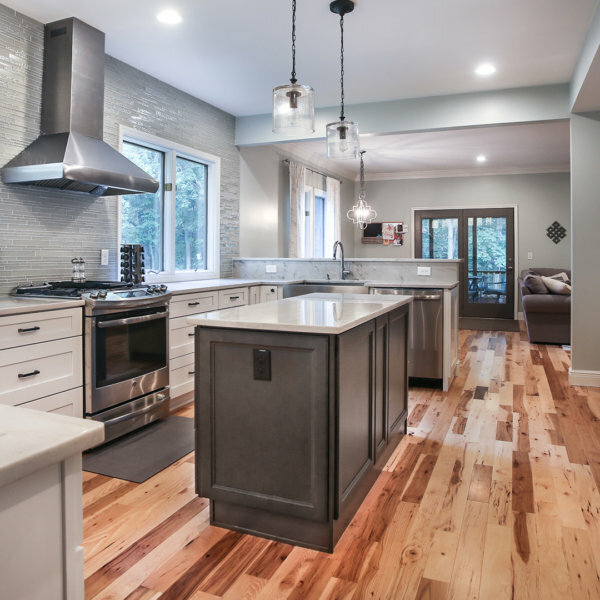 Gray is one of the most wanted colors in home design, especially in modern kitchen spaces. Forevermark brings a stylish, contemporary kitchen cabinetry design that features timeless shaker style and light gray color. 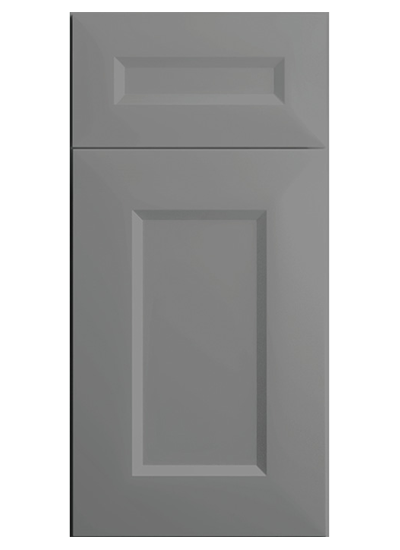 Nova Light Gray stock kitchen cabinets provide a high-class look at an affordable price. Wolf Home Products have special Builders Mark cabinets that is their version of more affordable kitchen cabinetry. Their Builders Mark stock kitchen cabinets provide smart storage solutions, durable wood doors, and highly attractive decorative accessories. Regardless of the layout of your cooking space, this kitchen cabinetry manufacturer provides a solution that you will love. 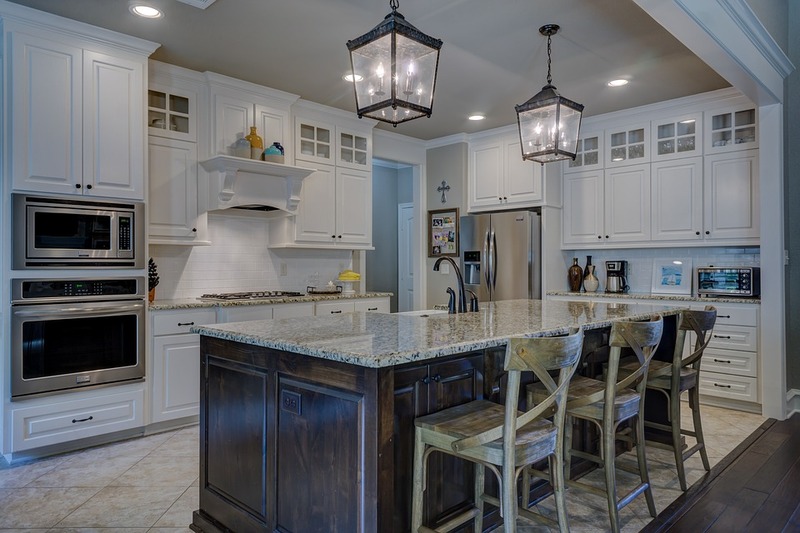 Stock cabinetry designed for large and tiny kitchens, as well as for u-shaped and galley kitchen layout, comes at the price that will fit into your budget. You will love the look and feel of solid maple wood and durable finishes. 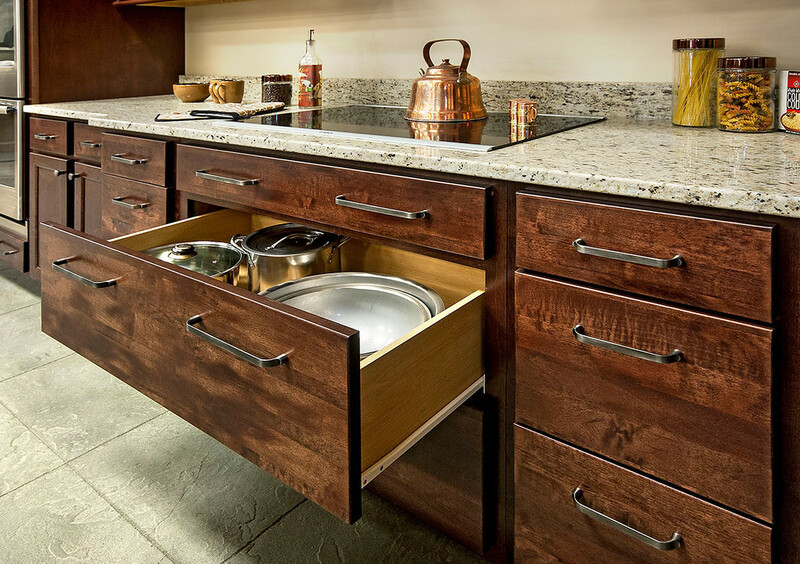 Fully concealed, self-closing adjustable hinges, as well as mortise and tenon door construction, in addition to all wood maple doors, create a highly functional kitchen space. You can also stop worrying about wear and tear because these cabinets feature high-quality finishes resistant to scratches. Along with excellent materials and construction comes an ease of maintenance that will make cleaning the interior and exterior of the cabinets straightforward and simple. 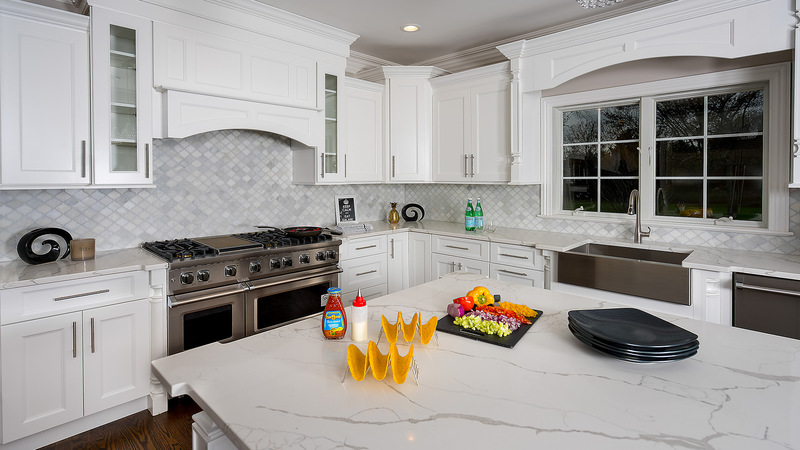 If you’re planning a kitchen remodel anywhere in the state of New Jersey or in any of the neighboring states, visit Aqua Kitchen and Bath Design Center conveniently located in Wayne, NJ. Here, you can shop an extensive selection of stock kitchen cabinet sizes, colors and finishes to match both your style and budget. Here, you will get personalized expert design service and the lowest, guaranteed price on stock kitchen cabinets. 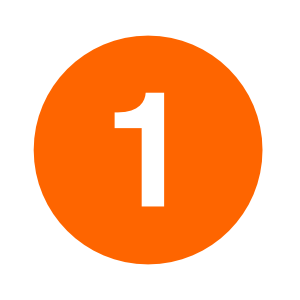 Bring us a written estimate from any of our competitors, and we will beat it by 10%. The lowest price on stock kitchen cabinets with us is guaranteed. Contact us today, schedule an appointment with one of our designers, and get our undivided attention, free 3D design services, efficient and on-time service, expertise and knowledge, and peace of mind with the best price. Learn why you should buy from Aqua Kitchen and Bath Design Center vs. Big Box Stores and stop postponing your kitchen remodel project in NJ. We are here for you, offering the lowest prices and the most reliable professional service.